Dr. Andrew Taylor is a well-known interventional radiologist in San Francisco, California. He received his medical diploma from Perelman School of Medicine at the University of Pennsylvania in 2006. After getting his medical degree, he did an internship in internal medicine at Pennsylvania Hospital – University of Pennsylvania Health System. Dr. Taylor completed his medical education with a residency in radiology and a fellowship in vascular and interventional radiology, both at UCSF. He is certified by the American Board in diagnostic radiology and vascular & interventional radiology. 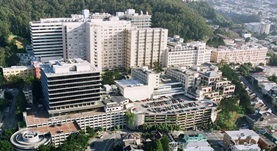 He works in a few hospitals in the area and is affiliated with San Francisco General Hospital and Trauma Center and UCSF Medical Center Mount Zion. He has published some articles in collaboration with other doctors. Dr. Andrew Taylor has contributed to 3 publications. Techniques for Transjugular Intrahepatic Portosystemic Shunt Reduction and Occlusion. Taylor, A. G.,Kolli, K. P.,Kerlan, R. K.; Tech Vasc Interv Radiol. 1900 Jan 01. Hemothorax Resulting from Injury to the Right Inferior Phrenic Artery following Transhepatic Procedures. Bartolome, B.,Kohi, M. P.,Fidelman, N.,Taylor, A. G.,Kolli, K. P.,LaBerge, J. M.,Kerlan, R. K.; J Vasc Interv Radiol. 2015 Mar 26. Implications of discordant findings between hepatic angiography and cross-sectional imaging in transplant candidates with hepatocellular carcinoma. Young, K.,Fidelman, N.,Yao, F. Y.,Hills, N. K.,Kohi, M. P.,Kolli, K. P.,Taylor, A. G.,Kerlan Jr, R. K.; Liver Transpl.. 2015 Feb 14.